Today is Meet Me Monday, so I need to tell you something you may not have otherwise known about me. It took me awhile to decide what to divulge – I have SO many secrets, you see – but I finally hit on one. I’m an extremely vocal fan of sporting events. It can be any sporting event, professional or amateur; on TV or in person. I am the girl who will pick a team “just because” and then become VERY vocal during the game. If my side is falling apart and I’m watching on TV, then I go into a different room and refuse to watch the game because my heart can’t take it. I get WAAAY involved – Basketball, Soccer, lately Hockey – I jump up and down, scream at the refs, chew my team out – chew out the other team when they batter my guys – it quite entertains my hubby. When my kids were in soccer, I had to learn to keep it clean and positive; but I regularly lost my voice cheering our team on. Got a little known fact about you that you want to share? From all the comments today, I’ll be giving away a copy of DEMON SOUL! Are you following along in the blog hop? Check out Rachel Firasek’s site for other blogs! This entry was posted in Life and tagged Blogging, demon soul, fan, Rachel Firasek, sports. Bookmark the permalink. After talking to you on the phone, I can so hear you doing this. Christine, you are just too passionate of a person, and that’s why I love you! Great share. Woot!! Thanks for participating in the MEET ME MONDAY blog hop. This is uber cool. 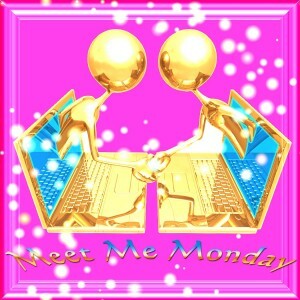 I’m also part of the Meet Me Monday blog hop…and so enjoying discovering all the new authors. I love attending my daughter’s soccer games because they are a good team and all the parents are very supportive and positive. Hope you visit my blog too! I can’t imagine getting that involved in sports, LOL! I’m not a fan, at all, of any sports, though I do watch the occasional equestrian event. My parents considered sports a serious waste of time, energy, and money, so I wasn’t allowed to go to games or anything. Since I didn’t learn to enjoy it early on, I just never invested the time. I have 3 little grandsons, though, so I’m about to learn to be a vocal sports fan, if any of them are interested. Maybe you can give me lessons, LOL. Kenra, I’ve been an athlete most of my life – started out as a ballet dancer then in my 20’s I switched to running. Regular sports didn’t really come on my radar until I began dating. Over the years, I’ve learned to adapt – and now find myself an over-the-top fan when I actually watch sports. Funny how things change! I’m not a sports fan, but I can be if someone I know is participating in the sports event. I also feel blessed that my husband is not a sports fan as I would not want to be a sports widow. I love your blog, the wine and recipes are great and a wonderful way to keep your blog interesting and a way that you’ll always have something to share to your readers. I’m looking forward to reading DEMON SOUL and checking back with your blog. Hi Kathryn, it’s lovely to meet you, and welcome! Thanks for the kind words, and thanks for stopping by!